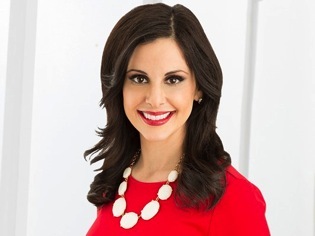 Alexa Conomos, co-anchor of Dallas-based TEGNA8’s early morning Daybreak program, has decided to leave both the program and the station. Conomos officially informed staffers of her decision Wednesday morning, according to sources. She cited the oft-unforgiving work hours, other opportunities outside the TV news business and the desire to spend more “normal” time with her husband, Bradley, and their three young children. Conomos also has offered to stay with Daybreak, which airs from 4:30 to 7 a.m. weekdays, until TEGNA8 finds a replacement. Raised in the San Francisco Bay area, Conomos was an anchor for the now defunct Texas Cable News network (TXCN) before moving across the street to become Daybreak’s early morning traffic anchor in 2002. She became the program’s co-anchor, with incumbent Ron Corning, in June 2014 after regularly filling in. She began her television career with NBC affiliate KMIR-TV in Palm Springs, CA. Conomos has degrees from both Santa Clara University and the Institute of European Studies in Vienna, according to her TEGNA8 biography. Conomos so far has not returned a message asking for comment. Daybreak ranked third in the November “sweeps” ratings in both total viewers and 25-to-54-year-olds (the main advertiser target audience for news programming). TEGNA8 ended 2016 with the most on-camera departures (10) among D-FW’s four major TV news providers. The station now has logged the first exit of 2017, although it could be a month or two before Conomos officially signs off.